Glucose Colorimetric Assay Kit II | K686 | BioVision, Inc.
Glucose is an important fuel source to generate the universal energy molecule ATP. Serum glucose level is a key diagnostic parameter for many metabolic disorders. 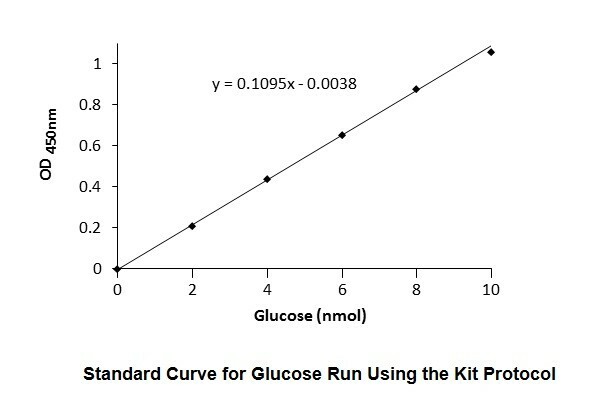 BioVision’s Glucose Assay Kit II provides direct measurement of glucose in various biological samples (e.g., serum, plasma, other body fluids, food, growth media, etc.). In this assay, glucose is specifically oxidized to generate a product which reacts with a dye to generate color (λ = 450 nm) whose intensity is proportional to glucose concentration. The method is rapid, simple, sensitive, and suitable for high throughput. 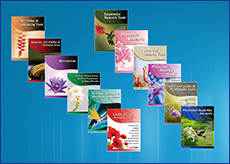 This assay is particularly suitable for serum and urine samples since it is unaffected by reducing substances which can interfere with other suppliers offering oxidase-based kits. The assay is also suitable for monitoring glucose level during fermentation and glucose feeding in protein expression processes. 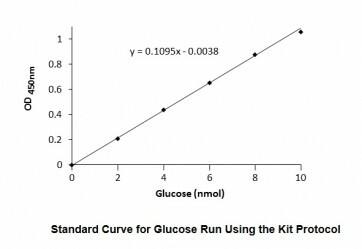 The kit can detect glucose concentrations in the range of 20µM – 10mM. Li et al., Crucial role of TRPC6 in maintaining the stability of HIF-1α in glioma cells under hypoxia. J. Cell Sci., Sep 2015; 128: 3317 - 3329. Shi et al., A Novel KLF4/LDHA Signaling Pathway Regulates Aerobic Glycolysis in and Progression of Pancreatic Cancer. Clin. Cancer Res., Aug 2014; 20: 4370 - 4380. Makinoshima et al., Epidermal Growth Factor Receptor (EGFR) Signaling Regulates Global Metabolic Pathways in EGFR-mutated Lung Adenocarcinoma. J. Biol. Chem., Jul 2014; 289: 20813 - 20823. Cui et al., FOXM1 Promotes the Warburg Effect and Pancreatic Cancer Progression via Transactivation of LDHA Expression. Clin. Cancer Res., May 2014; 20: 2595 - 2606.